(March 21, 2019) EMERYVILLE, Calif. Thirteen states joined California, Oregon, and numerous tribes and conservation groups in calling on the federal Appeals Court for the Washington, DC Circuit to reconsider a recent panel decision undermining how states fulfill their authority under the Clean Water Act to certify that dams and other water infrastructure that require licensing from the Federal Energy Regulatory Commission will meet state water quality standards. Left standing, the decision would abruptly change a procedure that states, federal agencies, tribes, and applicants have relied on since 1991. The states’ amicus briefs were filed in support of a petition from American Rivers, Trout Unlimited and California Trout, filed March 11, requesting an en banc review of the panel’s decision in Hoopa Valley Tribe v. FERC. The decision overturns 25 years of practice and threatens to prevent states from protecting water quality affected by dozens of hydropower dams across the country, for the 30-50 year lifespan of FERC hydropower operating licenses. Members of the Hydropower Reform Coalition joined the brief by the Yurok and Karuk Tribes. The other parties filing amicus briefs seeking to overturn the court ruling include: California, Oregon, Alaska, Hawaii, Washington, Idaho, Wyoming, South Dakota, Minnesota, Michigan, New Jersey, Rhode Island, Massachusetts, Vermont, Maine, Karuk Tribe (CA), Yurok Tribe (CA), American Whitewater, California Sportfishing Protection Alliance, South Yuba Rivers Citizens League, California Outdoors, Friends of the River and Idaho Rivers United. The three judges on the DC Circuit panel agreed with litigants that the States of California and Oregon had effectively waived their authority to issue a water quality permit for the Klamath hydropower project on the Klamath River because they did not issue a final permit within one year. For this project, and for dozens of other complicated federal hydropower projects and relicensing processes, the information necessary for the permit cannot be developed within one year, so the license applicant voluntarily withdraws its application and resubmits each year instead of waiting for the state to deny its application. The court panel held that this customary action does not restart the one-year period for a state’s water quality review. In their briefs, the states note that there are numerous rivers affected by 16 hydropower projects in California, 10 in Oregon, and 15 in Washington, plus an unknown number in other states, now at risk of losing water quality protections. Many of these projects involve multiple dams, such as the Yuba-Bear Hydroelectric Project (with 16 dams) on California’s Yuba and Bear rivers. Already, three dam operators in California and Maryland have filed petitions seeking determinations that those states have waived water quality certifications for their projects—even though the DC Circuit decision is not yet final. These include the Yuba-Bear project, for which the relicensing applicant, Nevada Irrigation District, is responsible for completing an environmental analysis under the California Environmental Quality Act (which must analyze impacts on water quality, among other effects of the project) but has not done so. The utility Exelon also is seeking to evade state water quality protections for its Conowingo Hydroelectric Project on the Susquehanna River in Maryland. Broad language in the decision also threatens water quality safeguards for other federal actions beyond hydropower projects, such as pipelines and infrastructure that disturb wetlands, because those projects involve the same state authority. The petition for review and the amicus briefs emphasize that the states’ actions are consistent with the text of the law, prior court precedent, and rules that FERC established. The decision would “adversely affect the States’ congressionally retained sovereign right to protect water quality within their boundaries” and “undercut the coequal management of the nation’s waters established by the Clean Water Act,” wrote Oregon and the other states. Petitioners and the states also argue that if the decision is upheld, it should be applied prospectively given the states’ reasonable reliance on longstanding precedent. The Hydropower Reform Coalition has worked since 1992 to restore rivers affected by hydropower dams through relicensing, dam removal and protection from new development. Since 1973, American Rivers has worked to protect wild rivers, restore damaged rivers and conserve clean water for people and nature. Trout Unlimited, founded in 1959, is the country's oldest and largest sportsmen's organization dedicated to conserving, protecting and restoring trout and salmon and their watersheds. 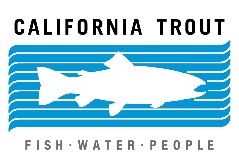 California Trout was formed in 1971 and works to solve California's complex resource issues while balancing the needs of wild fish and people.